How tall were the old Hasselbachers? In browsing through historical documents in my searches for our roots, I stumbled upon other references to a height standard for soldiers in the Ansbach-Bayreuth Regiment. 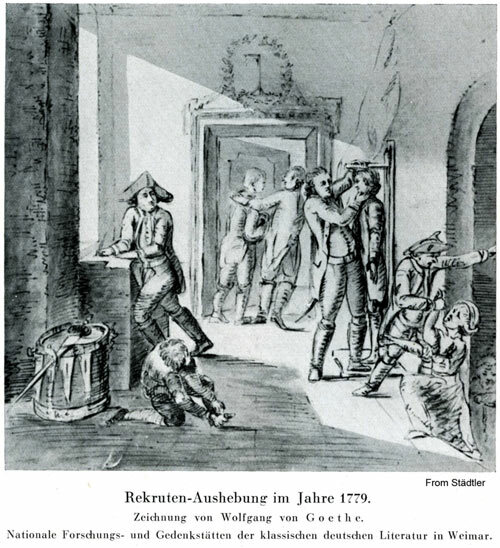 One is the old engraving below I found in the thesis of the most famous historian of that regiment– Herr Erhard Städtler. In this image, a "recruit" is being measured while his presumed mother displays her grief. 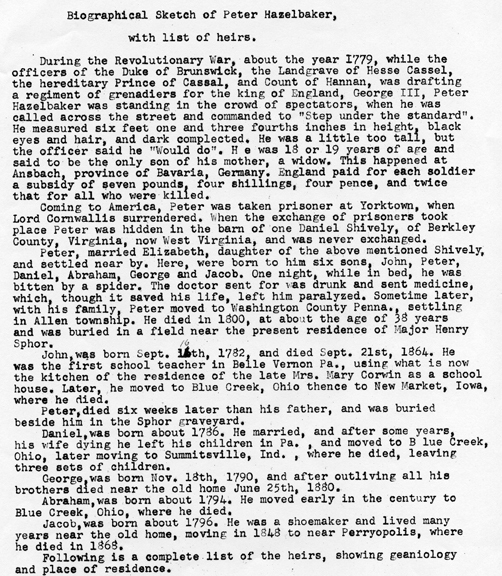 Additionally there are references in the diary of Johann Döhla, a contemporaneous historian of the regiment who refers to an order in 1783 by the Margrave that no returning soldier shorter than 5 feet be allowed to enter his lands even though they had fought in his regiment (page 245), and a second reference that those under five feet were discharged (page 254). Five feet is the height stated in the translation by Burgoyne, but I am unaware of the original amount, nor have I further knowledge of what standards of height might have been applied. 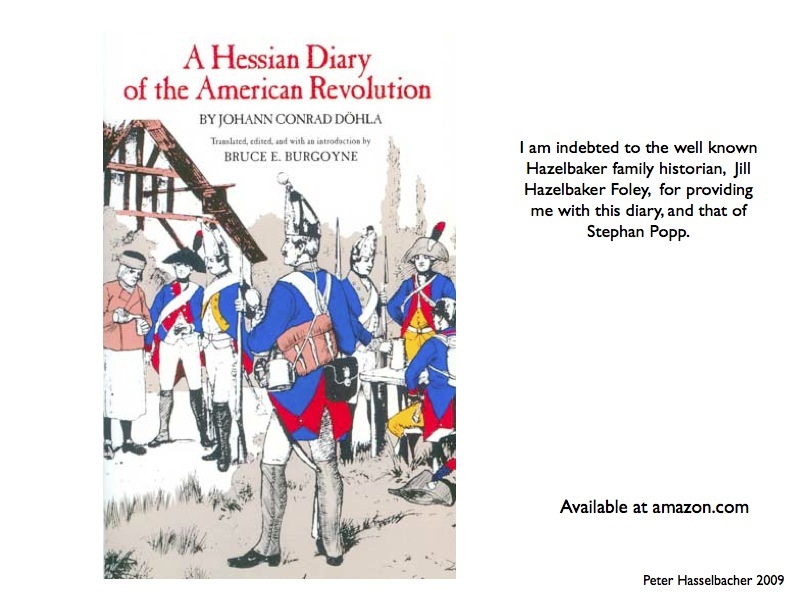 It is my understanding that Franconian soldiers from later wars (such as the Franco-Prussian War) were said to be tall. I have a military historian-friend in the Münchsteinach area who may be able to help. As Jill Foley speculates, will never know if Peter was too tall or too short, but in the meantime, these references to standards of height give the story of Peter being commanded to "step under the standard" a ring of veracity. The title of the illustration below is "Recruiting-Roundup in 1779." How many of you have old copies of the "Sketch and List of Heirs?" Please send me a copy so we may compare them. I am told there are some differences among them. Peter Hasselbacher, 7 Jul 2010. Contact me.